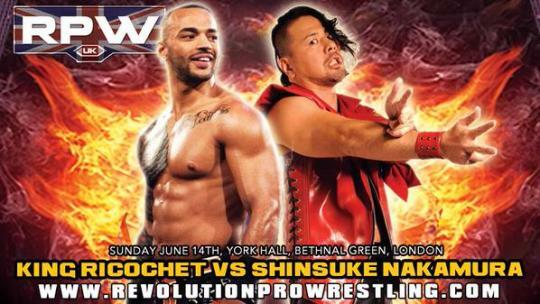 Nakamura announced for the next Rev Pro show in June. So that's AJ Styles, Ishii, and now Nakamura on the card. That is an incredible line up. Can't wait to see who else is coming. Can't wait to see who else is coming. Oh wait, that's probably not what you meant. If they book Mastiff vs Ishii, Nakamura vs Ospreay and Styles vs Scurll I'll be coming too.... Literally*. Haha I'll see you there pal. Is the show released today? Looking forward to watching it. 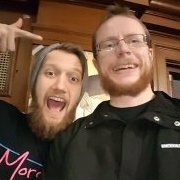 Just watched episode 2, basically a one match show with Will Ospreay vs Rocky Romero, along with some episode 1 recap and hype/analysis. It's a really good match though, well worth tracking down. I reckon the picture quality of the show is the best in the country right now. As upset as I was to have to miss Okada VS Ricochet.... this has me absolutely moist. I can't wait. Ishii vs. Mastiff would be cool, but so would Ishii vs. Ospreay! Styles I'd probably prefer to see wrestle someone else, as superb as the first Ospreay match was. Zack if he's around?! I'm happy either way with Styles ; if he wrestles someone fresh, great. Selfishly I wouldn't mind him fighting Ospreay again as I wasn't able to come to the first. It's not likely to be Zack, Noah have a show the same day.